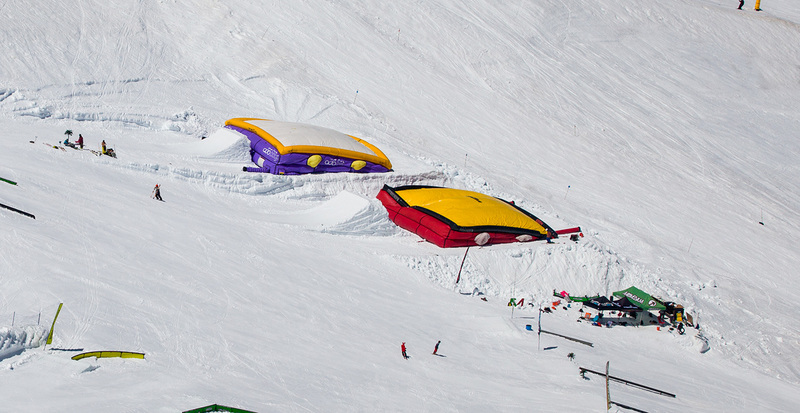 Located on hill the airbags are our best tools for safely training all levels of inverted maneuvers in bumps, park or pipe. The real snow take off makes the training much more realistic when it comes to transitioning from tramp to waterramp to snow. 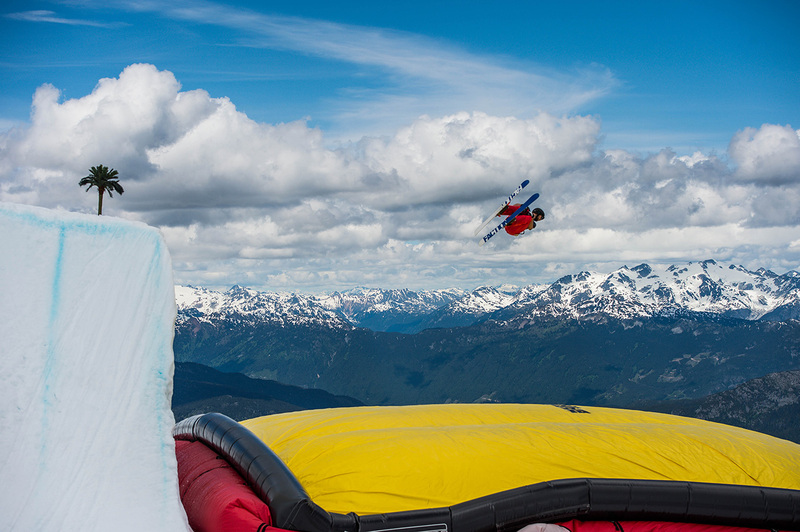 We have two 50′ x 50′ airbags setup with small and large jump options. 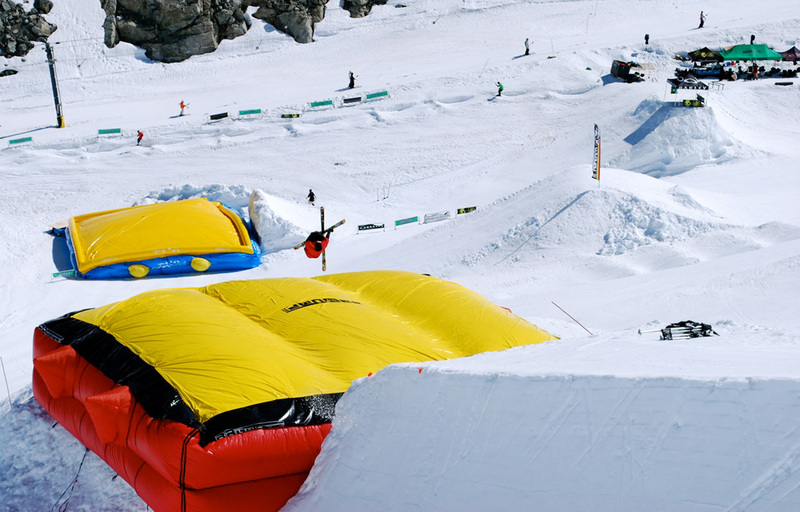 When snow allows we also set up a 22′ double sided quarterpipe into the airbags.